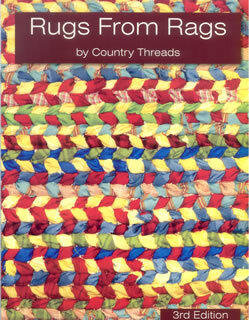 Start to finish for making rag rugs. Includes instructions for making frames. This is a fun and easy progect for children, parents, teachers and grandparents alike. Everyone likes making these rugs. 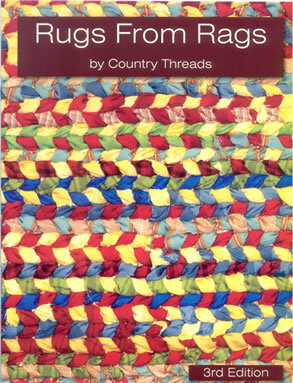 All you need is the little booklet, a rag rug loom, your leftover strips of fabric and you will have a new rag rug in no time at all. The project uses twelve to fifteen yards of fabric so it will really hit your stash. Let's face it Quilters, we have all of the fabric! The booklet contains helpful suggestions and is very complete.New booklet is in color! Has great pictures and is really easy to use..